Three Ways to Win a Vacation on Mackinac Island! Win a vacation on Mackinac Island! 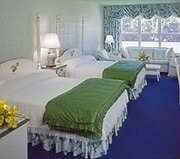 MyNorth.com will give 2 lucky winners vacations on Mackinac Island. You may enter each week to be eligible to win a stay at Grand Hotel or the Chippewa Hotel. See package details below.